Visualization technique is a powerful system that helps improve your tennis game by allowing you to see how you should move when making strokes on the court. It trains you to make the best shots possible. The key is that you visually “see” how to move, and when you replay it in your mind’s eye, you “feel” it as well. It can tremendously improve your game if you are willing to spend time changing and reprogramming the flawed movements that are weakening your strokes. You are shown the perfected flow pattern of the move and racket swing to study and visualize. 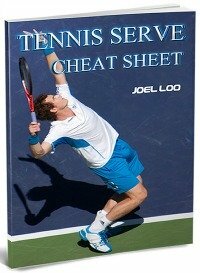 Whether you are a beginner or have played tennis for a while and your game needs improvement, this technique will help you excel. As you visualize, imagine yourself in your mind’s eye making those moves and you feel yourself going through the process. The experts say that if you can’t imagine yourself making the move, you probably won’t be able to do it on the court. That’s where the imagery is so powerful; keep going over it until you see and feel yourself pulling it off. Visualization is a technique whereby you think in pictures or images. In the case of tennis, you are imagining what a good technique looks like and how it feels to physically make it. Once you have a clear model in your mind, it downloads the information necessary to your body so you can hit the perfect shot. This system takes learning tennis to a whole new level. 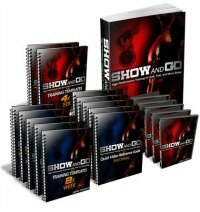 The visualization technique consists of three phases, each geared to help you step into the highest quality movement you are capable of emulating. Phase 1: By showing you the perfect stroke techniques, you can observe from the ground up how to make moves that will eliminate any flawed personal movements that weaken the stroke. For many pros these moves come naturally; for the rest of us we can train our brains and our bodies to emulate them in a step-by-step visual learning process. Phase 2: Now take the model images you have stored mentally and bring them into your mind’s eye. Use them to connect your physical game to your mental game strategy. You now have the confidence to know exactly how your body needs to move to make that next shot. The moment you see the ball coming at you, you move into position to match the key stroke technique you have in your mind. This reduces much of the stress caused by the unknown that many players live with on a stroke-by-stroke basis, winging it as the shots come. Phase 3: This phase is off court, training to use the perfected stroke patterns and techniques under pressure. Research has established that visual imagery techniques off court and rehearsing your moves mentally are powerful support strategies to playing a stronger game, making more powerful shots and facing down high pressure opponents with skill. Whether you have played tennis for years, or are a beginner, using the visualization technique can improve your game. As a beginner, you will start out with perfect strokes and movements. As a seasoned player, you can correct a weak component in your game, such as backhand, by reprogramming and improving it. What was once your weakness has the potential to become your greatest strength by using visualization strategy. 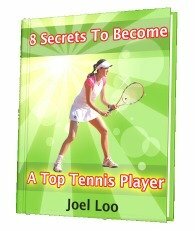 From "How Visualization Technique Can Help To Improve Your Tennis" To "How To Play Tennis Efficiently And Become A Better Player"